Laughter On Call provides comedy care for much‐desired connection. 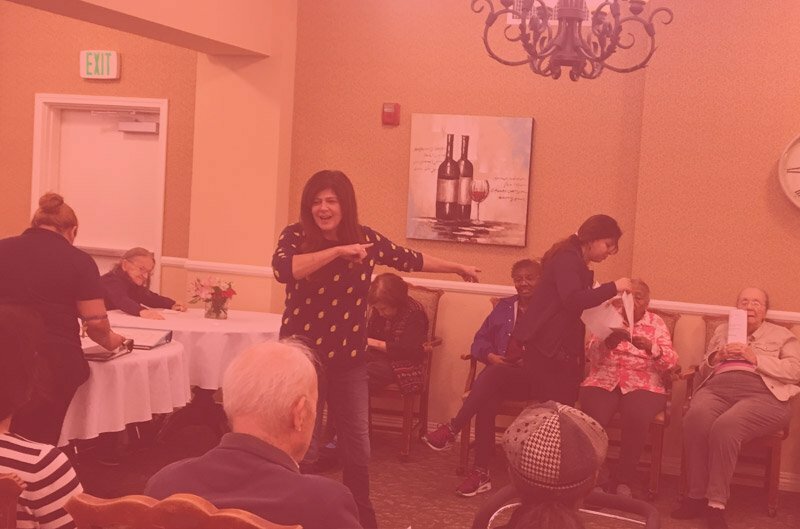 We offer One-On-One Comedy Care, Laughter Workshops for leadership, staff and families, Interactive Storytelling Shows, and live Comedy Shows, each customized to meet your specific need. Using a detailed intake form we provide, you tell us about your mother, father, aunt, uncle, sister, brother, friend, resident or patient. Then we find the right comedy companion, give them these specifics, and they show up ready and able to engage your loved one, sharing time, attention and laughter! One‐on‐one care informed by our personalized Friend and Family Feedback Form. We bring a comedian directly to your loved one, for as many hours a week as desired. Weekly small group care, in coordination with senior community or facility staff. We can assign one or more comics to your residence for weekly interaction with your clients. Maybe you or your team is feeling caregiver burnout – that’s the perfect time for some TLC – Training with Laughter On Call! Tender loving care is always good, but Training with Laughter On Call brings TLC to a whole other level for you and your caregiving team. 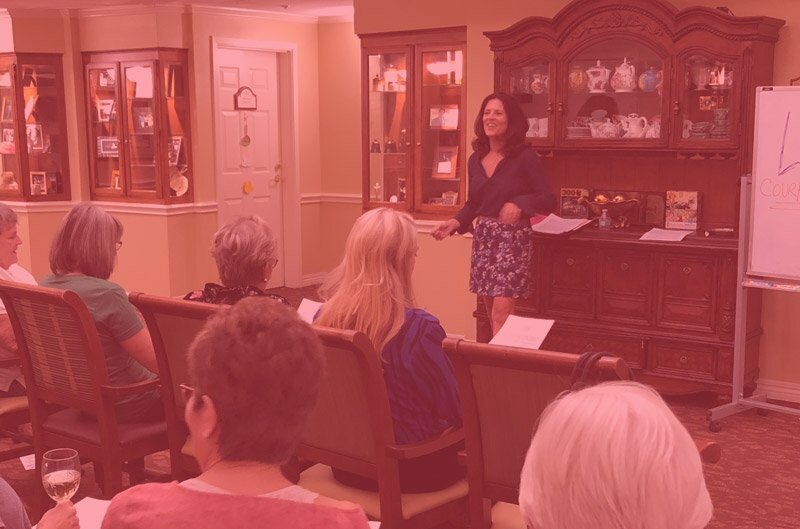 We provide training and workshops for leadership and staff at senior community centers or healthcare facilities, as well as to family members struggling to navigate their ever-changing relationships with those affected by Alzheimer’s. Teams that laugh together, stay together! With concise lectures and dynamic exercises, community leaders learn how to use humor to relieve tension and create community through shared appropriate laughter with their staff. Those who laugh, last. It’s not a secret that turnover rates for healthcare workers are high. If you can foster an environment where employees feel that amidst all the seriousness and intensity of their work there is room for levity, you create a culture where shared laughter, trust and bonding occurs. This makes people happier to come to work and stay. Through a series of fun exercises focusing on staying present, being flexible, understanding the value of timing and appreciating that sometimes being silly is the right choice, healthcare staff bond sharing challenges and learning solutions using simple but effective tools that break tension and keep people happy and connected. A lot of people talk about “care for the caregiver,” which is great! 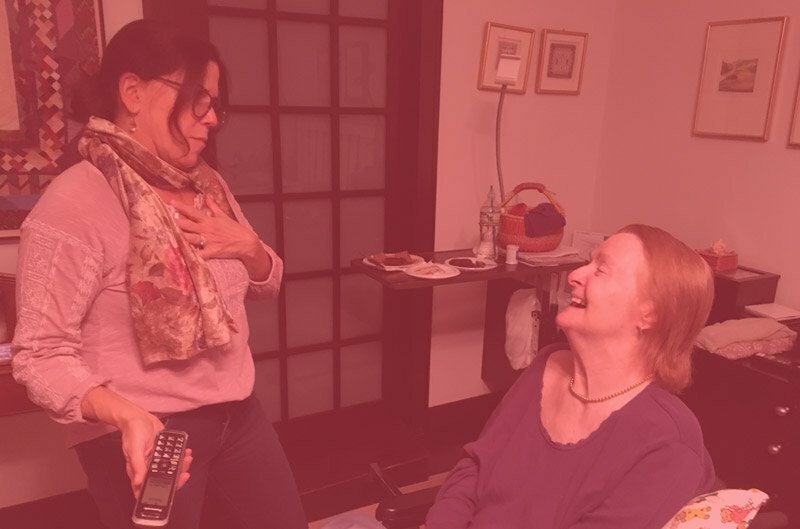 Training with Laughter On Call gives specific tools for you to use with your loved ones so you feel less depleted when you are together. You don’t have to be a scientist to know that laughter is a great stress reliever. 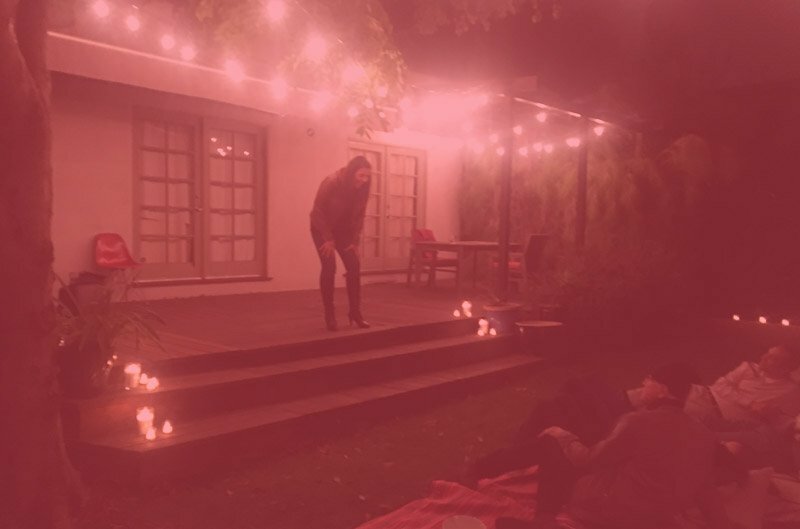 By sharing simple tools and engaging in exercises to help you feel less isolated in your experience, families of loved ones leave feeling a sense of community with each other and a better understanding of how to stay present with their loved one and look for moments of true connection. We bring a comedian to your home with some suggestions for stories for your residents to participate in creating. Maybe it’s a murder mystery, a love story or holiday themed tale? By taking suggestions from the “audience,” the comedian comes up with highly entertaining characters and plot twists to keep everyone surprised, engaged and laughing. Laughter On Call can also go back to basics: let us put on a show just for you, a friend! Tell us who, where and when, and we’ll customize entertainment that’s just what the doctor ordered. From keynote presentations at a professional conference to improv performed by a group of our comedians, laughter is just a call away.